Dan Dainton makes no secret of his love (some may say obsession) with hops. He can't get enough of the buggers and tells us he has a dream beer – a 12 percent hop bomb – that no brewery yet built in Australia would be able to handle. Until that day arrives, he's able to content himself with adding lots of hops to beers such as his Insane Uncle IPA. It's a beer that takes heady inspiration from the US, piling on additions of Columbus, Simcoe, Citra and Mosaic to create a beer that, over the course of a glass, acts as something of a checklist for flavours and aromas you expect from New World hops. Lime and pineapple aromas: check. Grapefruit marmalade: check. A touch of capsicum: check. Some herbal, earthy touches: check. That said, their predominant contribution is of the dank as all hell kind. There's some pale malt sweetness, but sitting quietly to one side as the hops lay out their picnic blanket, stretch out, and enjoy their moment in the sun. 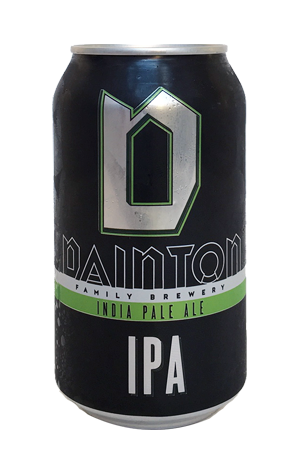 UPDATE: Since transitioning to cans and losing the Uncle tag, we reckon the beer has changed a little: less aggressive on the nose, lots of textural hop character on the palate and hops more of the pine, lime citrus and resinous kind.